Thursday is Common-sense day here at SLWK! 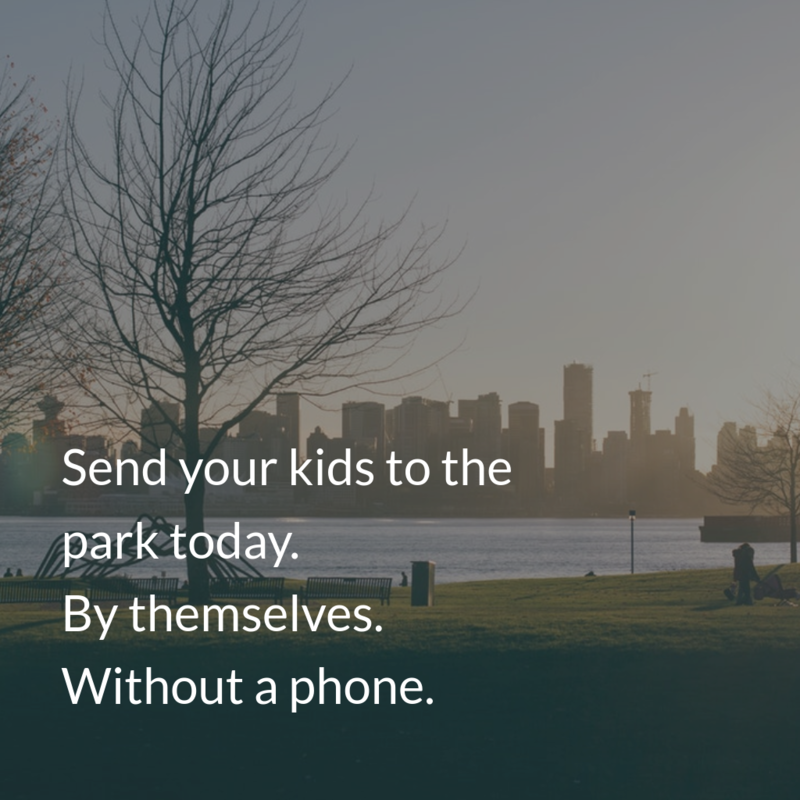 Send your kids to the park today. When I was a kid, I used to go to the local park all the time, often by myself. All the kids did. Did you used to do that? If you’re roughly my age (in your forties or older), you probably did. We’d go off, and sometimes spend the whole day outside – mucking around, building stuff, playing, negotiating with each other over unimportant things that seemed incredibly important to us at the time, and bickering. Sometimes we’d pretend we were superheroes. Or we’d pretend we were adventurers. It really didn’t matter. We learned to be resilient. We learned to negotiate without adult intervention. We learned to make mistakes – and to fix them. We pretended to be adults, and role-played different careers. In short, we learned how to grow up. Your kids need that. So do mine. So send your kids off to the park today. If you’re new to this, and it’s scary, start by sending them out for just half an hour. Make sure you know where they’re going. If they’re under 5, go with them and let them do their own thing off to one side while you take a walk elsewhere in the park. Without your constant supervision. If they argue with other kids, let them argue. If they get hurt (not too badly! ), let them get hurt. If they do something silly, let them do something silly. If you don’t have a park, let them go to the beach, or a public gardens. Anywhere they can be with nature and get fresh air. Trust me, they’ll be okay.